Women's Sports Sock, No-Show/Low Cut Combo 6Pk Only $2.79 + FREE Shipping! You are here: Home / Great Deals / Women’s Sports Sock, No-Show/Low Cut Combo 6Pk Only $2.79 + FREE Shipping! Women’s Sports Sock, No-Show/Low Cut Combo 6Pk Only $2.79 + FREE Shipping! 6 pairs of Women’s sport socks for just $0.47 a pair! 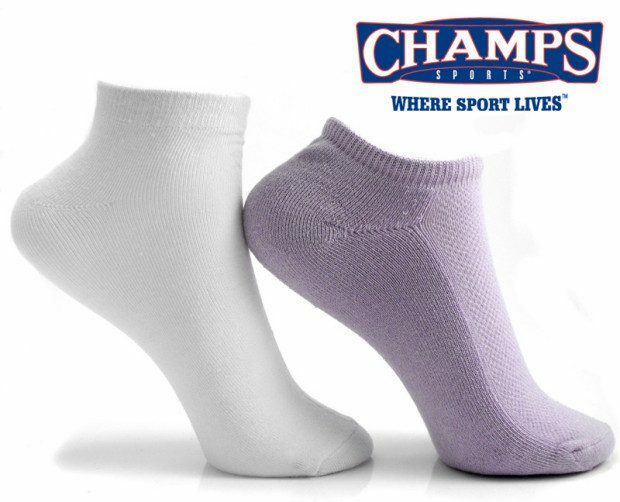 Gear up for warmer weather with this great 6 pair pack of Women’s socks from Champs Sports for only $2.79 plus FREE Shipping! This pack has 3 pairs of no-show lavender socks and 3 pairs of low cut lightweight white socks!